Description: Start you Ishikawa diagram from a ready-made template and things become easier than ever. 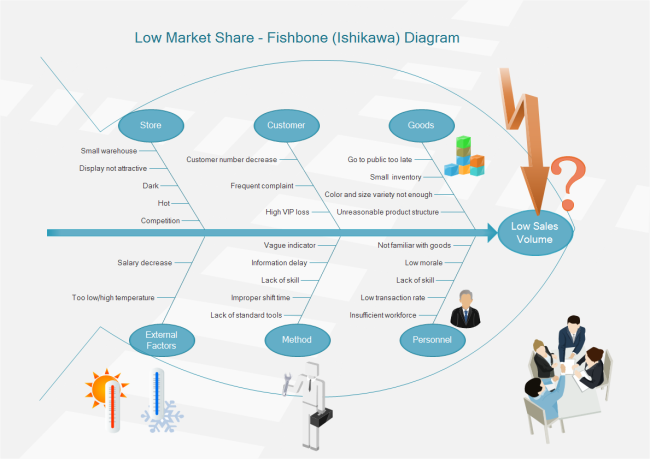 Here is a free customizable sales decrease Ishikawa diagram template for download and print. It is a simple sales decrease Ishikawa diagram created by Edraw Max, which supports various formats of output.